The Cook-a-Palooza Experience: Family Favorite Banana Loaf: Is it the Recipe or Nana's Vintage Pan? Family Favorite Banana Loaf: Is it the Recipe or Nana's Vintage Pan? 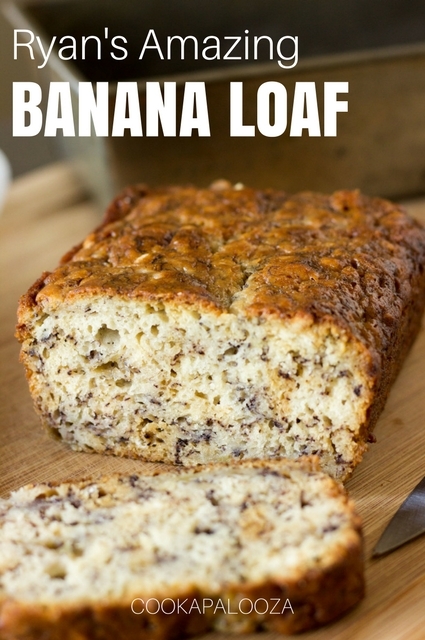 How do you bake THE BEST Banana Loaf? 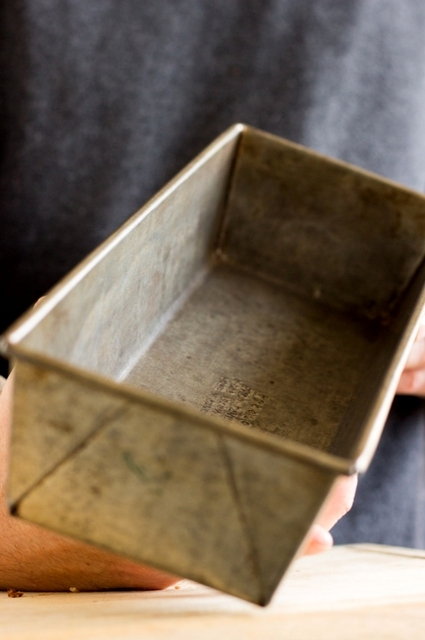 My 12-year old son believes there is ONLY one way; in his great-grandmother’s vintage tin baking pan. 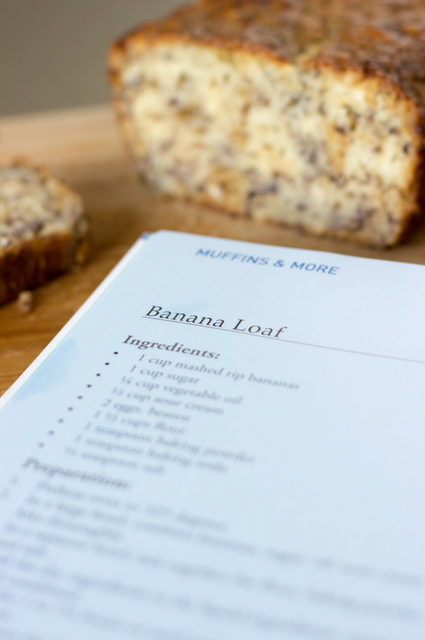 The banana loaf recipe I have for you today has quickly become a family favorite in our household. Each slice tastes amazing with a morning tea or coffee, and the kids love to eat it as a morning, midday, or early evening snack. The question is, what makes this Banana Loaf bake so well? Is it the recipe, the pan, or a little of both? My son Ryan first baked this Banana Loaf at our family cottage, following a recipe from a cookbook filled with recipes submitted by cottagers on the lake. To bake it he used my Nana's vintage EKCOLOY 13 x 4 ½ x 2 ½-inch tin baking pan that she would have used at the cottage as well, since she loved to bake. It was Ryan's first attempt at baking a quick bread from scratch and, with some help from his mom, he baked a light, moist, and delicious Banana Loaf. Now he will only use his great-grandmother's pan to prepare this recipe. But did the pan really make a difference? The ONE thing that makes this Banana Loaf recipe different from others I have tried, is it is baked at a slightly lower oven temperature of 325 F - compared to a 350 F.
It takes a little longer to bake (about 10 minutes more) but it is worth the wait because it bakes the banana loaf without over-browning the outside, or under-cooking the batter in the middle. 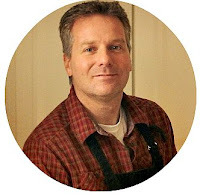 I also found that the recipe works equally well using a modern Wilton non-stick loaf pan (affiliate link) that I use to bake banana bread in my kitchen. Then it must be the recipe, right? Both Recipe and Pan Make it THE BEST! So, although this banana loaf recipe works well using either an old or new baking pan, there is something special about seeing my son Ryan bake it in my Nana's vintage pan. The pan just adds a touch of magic to the experience. You see, my Nana passed away years ago, but I like to imagine that her pan holds a little of her baking magic and that is why Ryan's Amazing Banana Bread comes out of it perfectly baked every single time! 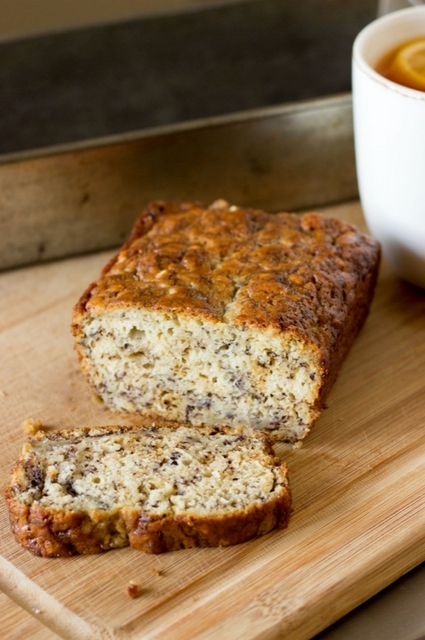 Do you have a family favorite banana bread recipe? What do your kids love to bake? Hi, Brent here! Thank you for checking out my post. I look forward to furthering our food conversation in the comments, on Facebook or inside The Weekly Updates where I deliver my best recipes and cooking tips to your inbox each week. Cheers! 1. In a large bowl, combine bananas, sugar, oil, sour cream and egg. Whisk to combine. 2. In a separate bowl, mix together the flour, baking powder, baking soda and salt. Add dry ingredients to liquid ingredients and mix just until combined. Pour batter into your favorite baking pan. 3. Bake for 50 minutes in a 325 F oven or until a toothpick inserted into the center of the loaf comes out clean. Cool in pan for 5 minutes before turning out onto a rack to cool.